Application: Torx socket screws with safety pin. Design: Chrome-plated, Black Point with Bore Hole. Kraftform Micro is the ideal screwdriving partner for electronics or precision engineering applications. 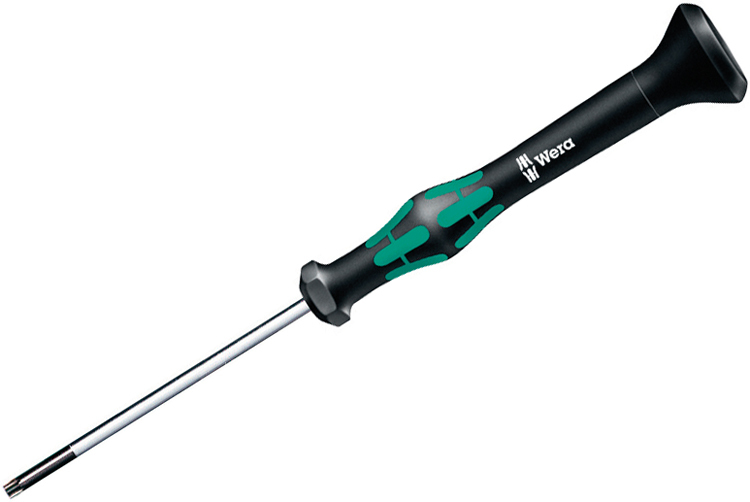 The highly precise Wera manufacturing quality is indispensable whenever minimum dimensions are concerned. The three-zone concept reduces fastening time and distinctly lowers the cost for each screw connection. The fixed head and the fast-turning zone just below the head allow rapid twisting. Indispensable for electronics technicians, opticians, precision engineers, jewellers, EDP hardware fitters and model-makers.